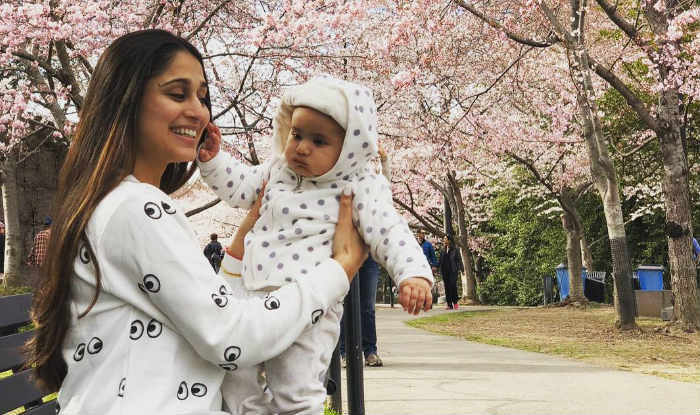 The other Instagram posts by Somya Seth reveal that she has shifted to a new house with her baby and has also got a new job. TV actor Somya Seth, who rose to fame with her performance in Navya..Naye Dhadkan Naye Sawaal, has made a social media post to mark the eight-year anniversary of her show. It was on April 4 that the show’s first episode went on-air and Navya’s performance as the young naive girl was appreciated. However, what has sent her fans in a tizzy is the caption of her post. The note adds, “I have grown up – I have seen violence, I have seen illicit drugs (including coccaine), I have seen hate, I have seen jealously, I have seen injustice, emotional manipulation’s and physical abuse! Somya goes on to say, “8 years after doing Navya I believe- Prince Charming is the most trashy concept as of today!! Girls just need to listen to their own hearts and believe that they are a women with substance and their happiness should not depend on any guy. Today I can tell being honest is expensive and worthless and painful and stupid. The other Instagram posts of Somya reveal that she has shifted to a new place with her baby Ayden and also got a new job. There’s no post on Somya’s timeline that talks about her bond with her husband, Arun Kapoor. The actor got married to Arun, who is a US-based filmmaker, in the year 2017.